The capital of Cuba since 1607, Havana is one of most enchanting and fascinating cities in the world. Old Havana, the historic centre of the city, preserves a wealth of Spanish Colonial architecture and has become a UNESCO World Heritage Site. Around 2 hours to the west of Havana, the Viñales Valley makes a fascinating constrast to the city. 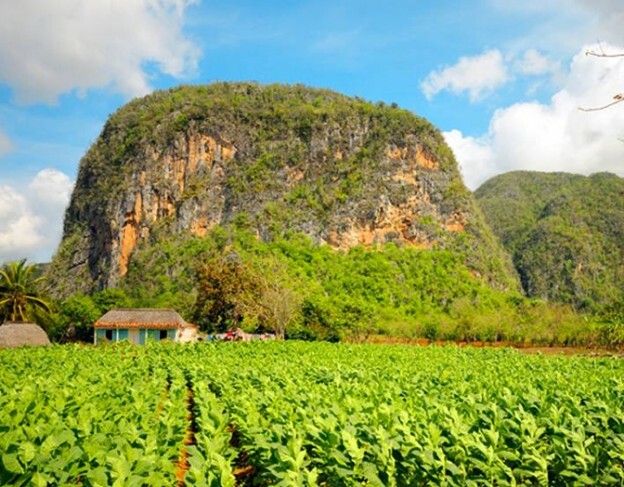 This sleepy rural area still sees tobacco and others crops farmed by traditional agriculture methods and is home to stunning limestone scenery. Nearby, Las Terrazas is a unique biosphere mountain community where secondary forest was planted on the deforested hills to avoid erosion and is now a mecca for those interested in eco-tourism, walking and bird-watching. 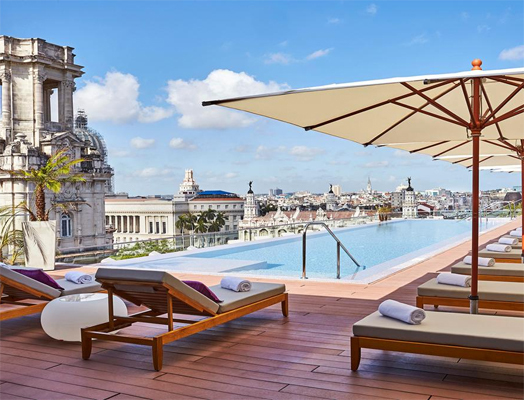 Originally built in the 19th Century, this grand building in now home to the Gran Hotel Manzana Kempinski La Habana. 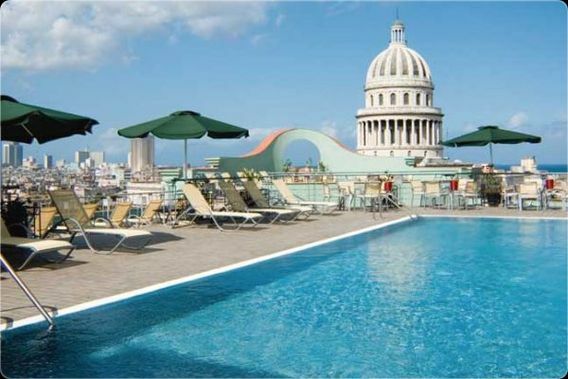 Putting you right in the heart of the city, from the hotel you will be able to enjoy stunning views over the Great Theatre of Havana and the many UNESCO World Heritage sites that surround it. 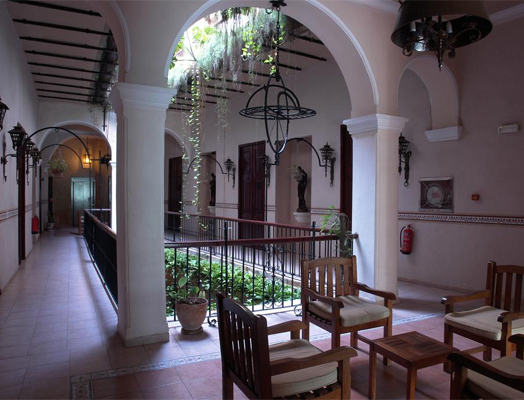 The 246 spacious rooms and suites, boast extra high ceilings and French windows opening out onto the old city. 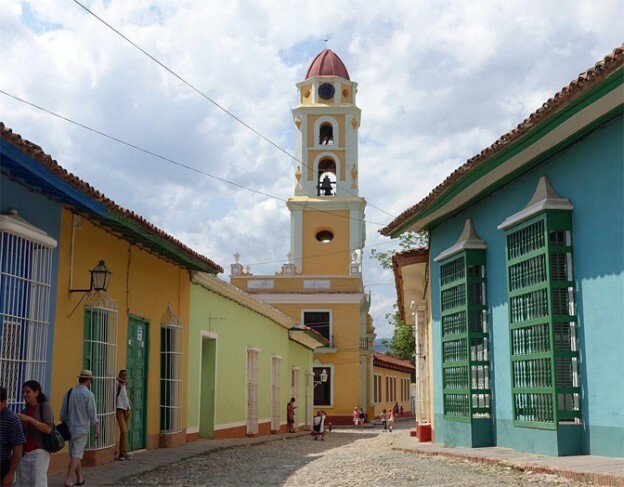 Steps from the Plaza Vieja and just two blocks from the Plaza de San Francisco de Asis (two of Havana’s most beautiful squares), the Hotel Los Frailes has 22 rooms. The inner mezzanine gallery is bright and appealing, with lush hanging plants and attractive decorations. Set in a restored colonial building and enjoying a convenient location in the old town, Armadores de Santander overlooks the port that is the symbol of the city’s rich maritime heritage. The hotel offers 32 guest rooms, a lobby bar and restaurant. 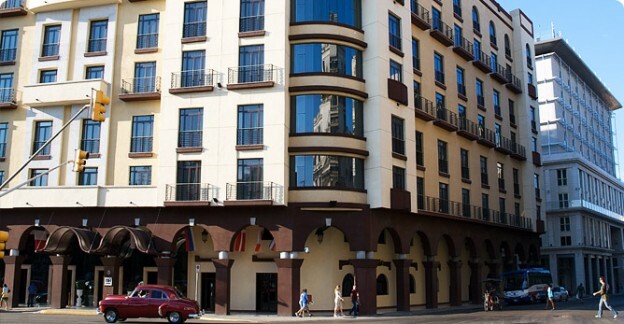 Iberostar Parque Central is located in an exclusive district of old colonial Havana in close proximity to Capitolio, the Garcia Lorca Theatre and the Museum of Modern Arts. 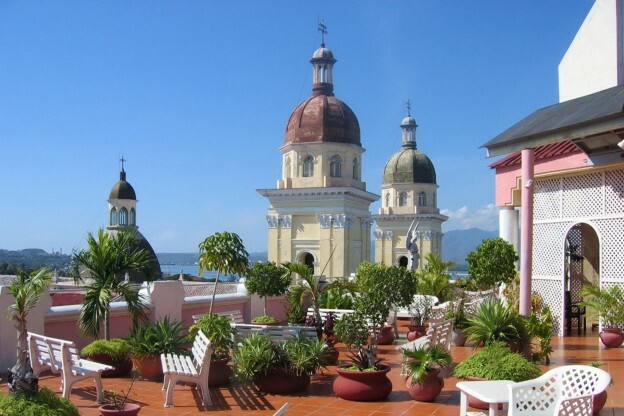 There are 270 rooms, many with superb views over Central Park and Prado Promenade. Facilities include a restaurant serving French a la carte cuisine with live piano music and an outdoor rooftop swimming pool. The Saratoga Hotel is a newly rebuilt 5* hotel. It has an elegant central courtyard, large floor-to-ceiling French windows, ample colonnades and a breathtaking Mirador terrace which allows for a magnificent view of the city. The interior combines traditional materials and elements like wood, plaster, marble and iron and state of the art technologies, all designed to meet the service standards and comfort of guests and customers. Located in the heart of the old town, the Hotel Florida is situated amongst small art galleries and attractive museums. 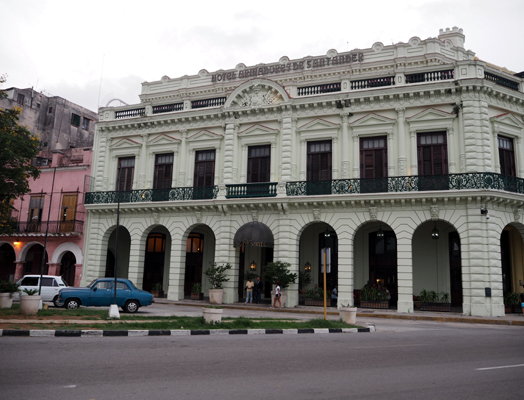 Built in 1836, the hotel is a lovely old colonial building and has 25 well-appointed rooms that are tastefully decorated.